Welcome to the Burkburnett Independent School District's School Board and thank you for your interest. We offer students a school environment that is abundant with individual attention. The professional and nurturing faculty provides a challenging academic program in a vibrant environment. Students are offered and encouraged to participate in many opportunities to achieve their potential through academics and extra curricular activities. Equally important, we envision Burkburnett ISD to be more than an educational institution, but a community where students, parents, staff, teachers, board members and our community share the same high level of commitment and vision for the school. We welcome your comments and suggestions on how we can improve our school district. Please do not hesitate to contact us. Thank you for your interest and support of Burkburnett ISD. James (Jimmy) L. Beeson Jr. is serving his first term as a BISD Board Trustee. Jimmy was born in Oklahoma City, Oklahoma. He earned a Bachelor of Science in Business Education,from the University of Central Oklahoma, Edmond Oklahoma, and a Master of Military OperationalArt and Science through the USAF Air University's Air Command & Staff College Online Masters Program (ACSC-OLMP). Jimmy began his career as a "Copper Cap" intern at Sheppard AFB, TX. He is the Chief, Base/Specialized Acquisition Flight, 82d Contracting Squadron, Sheppard AFB,TX. He was recognized as the Air Force level Outstanding Contracting Civilian (GS-12 & Above) for 2011, the Second Air Force Civilian (Supervisory Cat II) of the Year for 2011, Air Education & Training Command Professional Courage Award recipient for 2010, and the Oklahoma City-Air Logistics Center Contracting Civilian of the Year (GS-12 and above) for 2008. Jimmy is married to Mindy L. Beeson and lives in Burkburnett, Texas. He has three children, Caleb(7), Maddie(5),and Joshua (2). Mindy is the Director of Children's Ministry at First Baptist Church, Burkburnett. Caleb, Maddie and Joshua have a combined 36 years remaining in the BISD. Ed is currently serving in his third term as a BISD Board trustee. He has completed Leadership TASB and earned the recognition as a Master Trustee. He is a 26 year Air Force veteran with 17 of those years spent in the education and training field. During his military service Ed has served as a classroom instructor and curriculum developer. He has earned two associate degrees through the Community College of the Air Force and a Bachelor's degree from Wayland Baptist University. He is currently employed by the Department of the Air Force at Sheppard as an Instructional Systems Specialist. He is married to Anita and they have three children, Sonya, Eddie Jr. and Aaron; all BHS graduates. They also have eight grandchildren. I am a graduate of Midwestern State University (MSU): BAAS. Economics, Political Science and Business; Master of Arts Degree, Public Administration. My husband, Mike, is a retired U.S. Navy Chief Gunner's Mate. 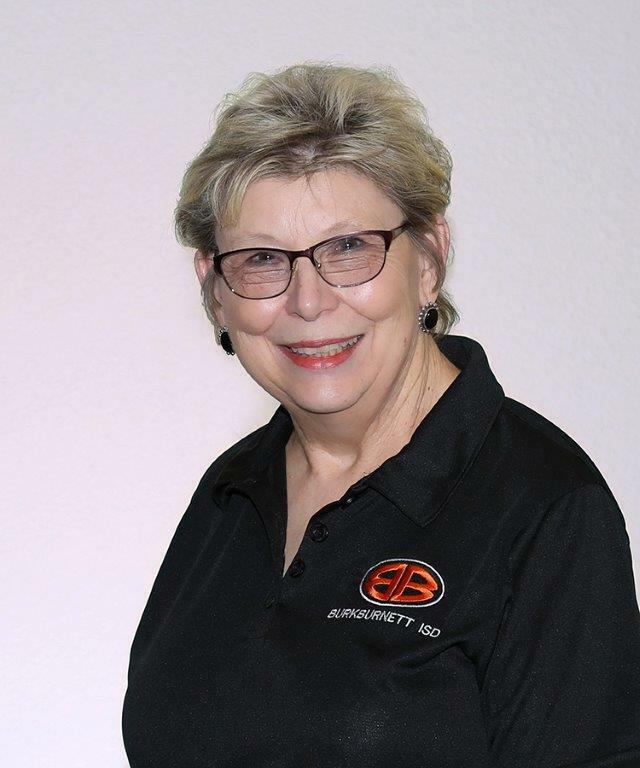 Together we enjoy our blended family of children and grandchildren, several of whom graduated from Burkburnett ISD. We are members of St. Jude Catholic Church. My professional career included Texas Department of Human Service, Case Analyst retired 2000; North Texas Area United Way, Resource Development Director, retired 2002. As a 2008 graduate of the Leadership Program of the Texas Association of School Boards (TASB), I served as a Master Trustee and am a Lifetime member of the Leadership TASB Alumni Association. I am also a Lifetime member of the MSU Alumni Association. I have been privileged to serve in many volunteer opportunities with area non-profit organizations through the 27 years I have lived in Burkburnett. Les is serving his first term as a BISD Board Trustee. He is a 1984 graduate of Burkburnett High School. Les and his Wife, Melinda, have one daughter, Alexes, who is a junior at Burkburnett High School. 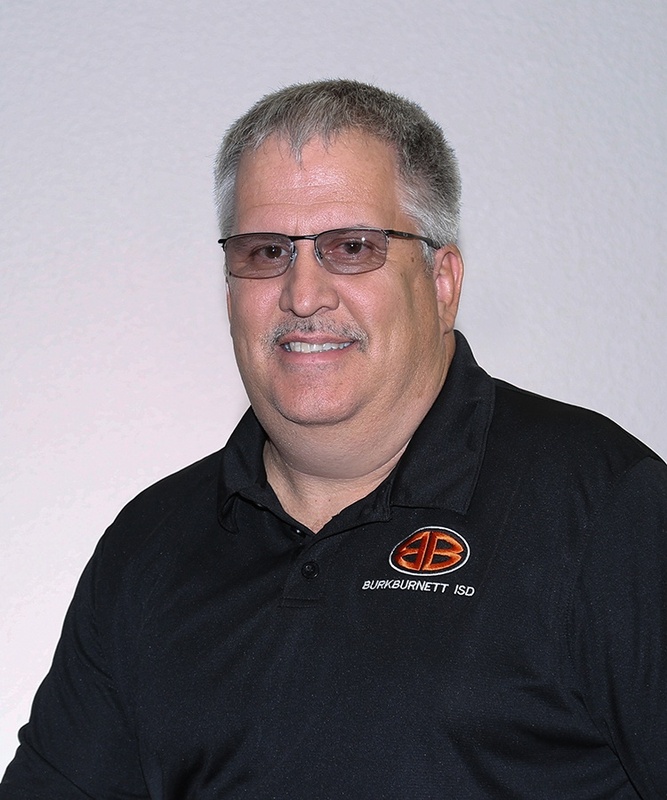 Les has been employed for 21 years at Sheppard Air Force Base 8- FTW, supporting the ENJJPT program and a lead hydraulic, tire, and brake specialist. He is currently working for M1 Support Services. Currently, Les is a member of First Bank and is actively involved in the Burkburnett FFA. He is a past president of the Burkburnett FFA Booster Club. 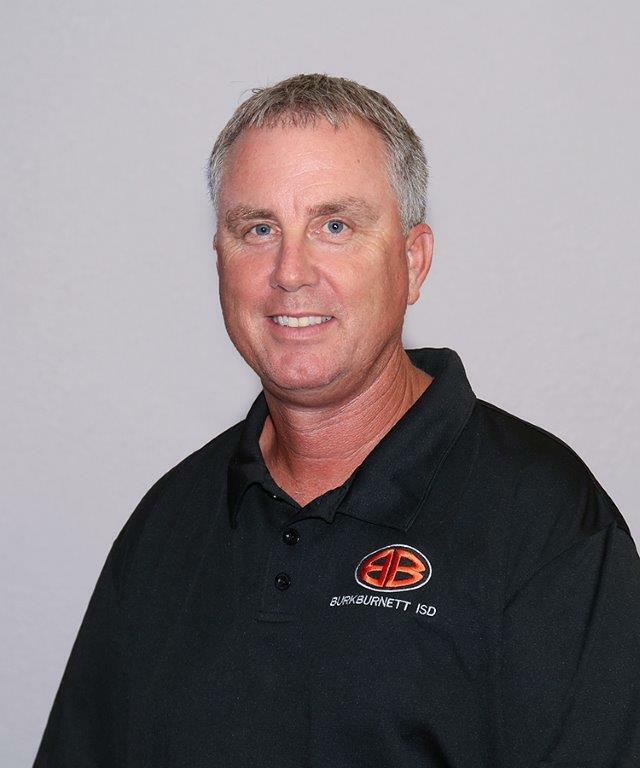 Keith grew up in a small community of Rhineland, Texas and graduated from Munday ISD in 1995. 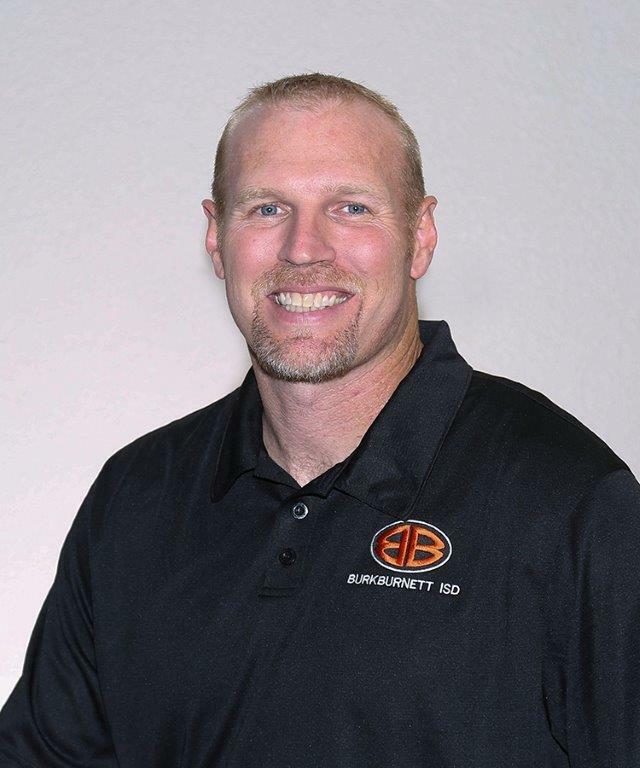 He attended Midwestern State University and graduated in 1999 with a Bachelor of Business Administration/Accounting. He married a Burkburnett native Shannon Norris in 2001. They moved to Burkburnett in 2005 so that their kids could attend Burkburnett ISD. Keith and his wife Shannon now have four kids: Matthew, Kamryn, Andrew, and Nathan. All four will be attending Burkburnett ISD this year. 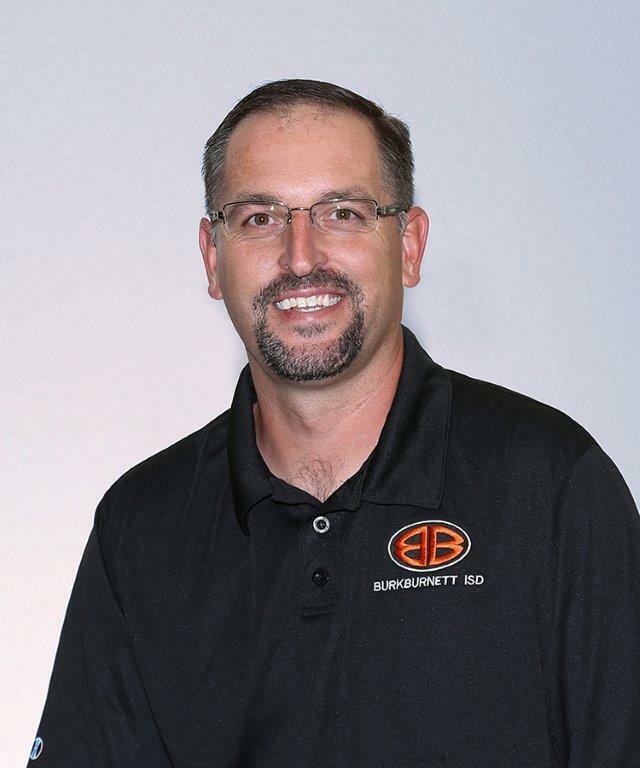 Keith has served on several boards in Burkburnett including: Chamber of Commerce-past president, Burkburnett Development Corporation-past president, and Burkburnett Boys and Girls Club. He also served as president of the Sunrise Optimist Club in Wichita Falls. He is a member of St. Jude's Catholic Church and is also a member of Knights of Columbus. He and his wife Shannon currently own and operate Sign-On Enterprises located downtown in Burkburnett. When elected to the board in 2015 Keith's kids had a combined 37 years of BISD school life ahead of them. The school is the reason they moved to Burkburnett and Keith is eager to do his part to make BISD the best learning environment and parent could ask for. Doug is currently serving his second term as a BISD Board trustee. Doug has lived in Burkburnett for the past 18 years. He graduated from Iowa Park CISD in 1985. Doug furthered his education with a Bachelors of Agriculture Education with a minor in Agriculture Economics from Texas Tech in 1990. He has affiliations, recognitions and honors in Burkburnett Lions Club, Burkburnett Roustabouts, Burkburnett Chamber and past board member, Wichita County Junior Livestock Assoc. board member/Cattle Superintendent, 4-H leader and Eagle Scout Review Board Chairman. Doug is the owner and operator of "Double D's One Stop" located in Burkburnett since 1998. Doug and Cari have three children. Cari is a teacher and coach for Burkburnett High School. Kylee is a sophomore at the University of Louisiana Lafayette, Kaci is an 11th grader at Burkburnett High School and Kennedy a second grader here in Burkburnett. 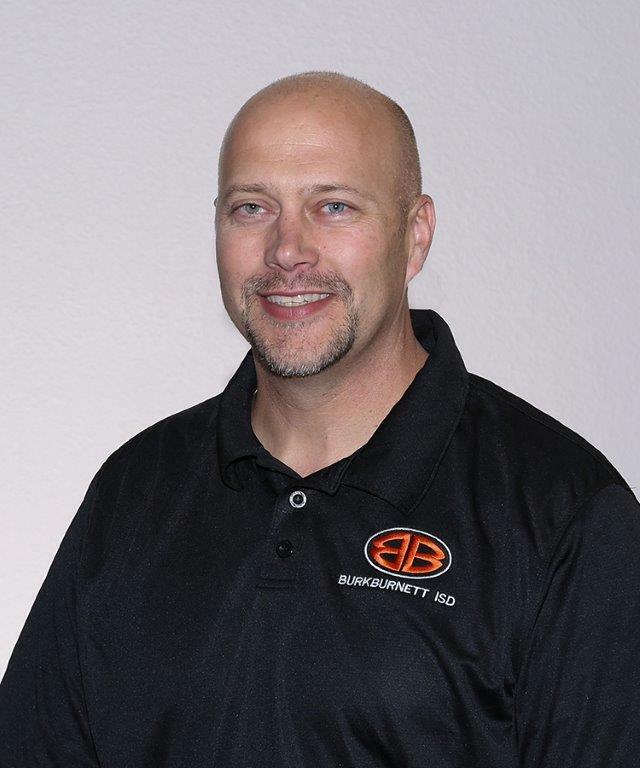 It is with great pleasure that I introduce myself to the Burkburnett community as the Superintendent of the Burkburnett Independent School District. I am excited to be a part of such an innovative district dedicated to preparing students for their future. I grew up in Stephenville, Texas and received a Bachelor of Science degree in Exercise and Sports Studies from Tarleton State University in 1995. 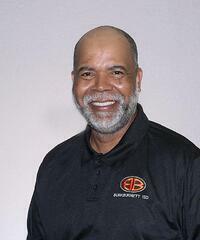 I have been in education for over 20 years as a teacher, coach, assistant principal, campus principal and superintendent. I have been married to my wife Anita since 1992. We have two daughters, Alexa who is a sophomore in college and Cate who is a sophomore in BISD. I am passionate about the role I play in the lives of students and in the education process. I believe education is in a state of transformation that will better prepare students to be citizens in a world that does not yet exist. By developing skills such as creativity, collaboration and the ability to reason, Burkburnett graduates will enter the world with the tools necessary to be successful in their chosen field. I look forward to the strengthening relationships with students, parents, and community members in an effort to continually improve the education of the students of Burkburnett ISD. In November 2015 the citizens of Burkburnett ISD showed their dedication to the community by investing in the future. A bond of $47.1 million was approved to renovate current facilities and construct a new 75,000 square foot elementary campus. Construction will begin in 2016 and when completed the new facilities will benefit the Burkburnett community for generations to come. Thank you for your continued support of Burkburnett ISD.